Next is a very energetic girl with lots to offer. 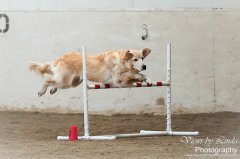 We are having lots of fun with his little veteran and she is always one step ahead of us!!! Next had a great start as a puppy with her conformation career. 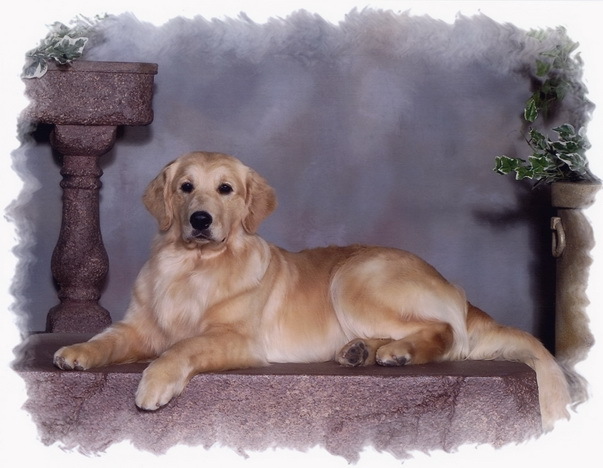 She earned Best Puppy In Breed too many times to count, has won Best Puppy In Group and as a Specials Puppy had a clean sweep weekend of BPIB and BOS. She earned her Championship as a puppy in three straight shows winning BPIB & Best of Winners on Sunday at Evelyn Kenney in 2003 (the weekend of a Sporting Dog Specialty) she then won again Friday and Saturday (BOW) at her next show at AKC in Calgary to complete her Championship. 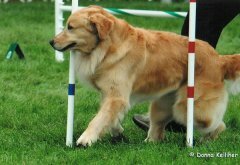 Occasionally dabbling in the Specials ring in her mature years, she has been awarded numerous BOS, BOB and Group Placements. 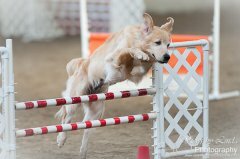 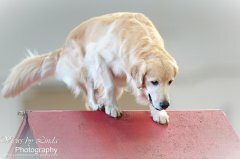 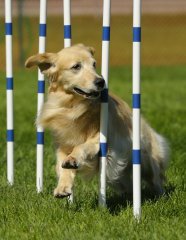 Next started out her performance career at her first CKC Agility Trial at just over 18 months earning her AGN Title in 3 straight Trials. 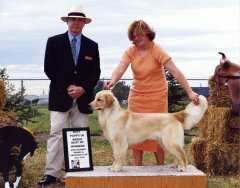 At the Canadian National in 2004 under the age of two still, Next was one of the very few qualifiers and did so in both rounds. 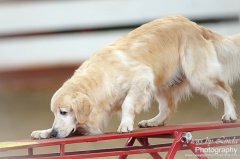 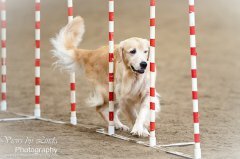 She entered the Obedience Ring with some lovely performances for her PCD and then onto her CD Title earning two High In Trials. Next has earned the GRCC Agility Hall of Fame and her Versatility Excellent Certificate. 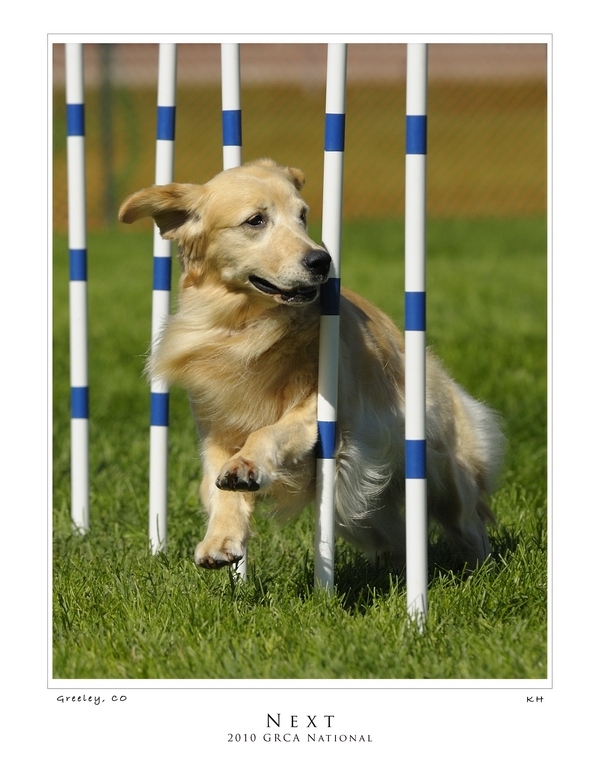 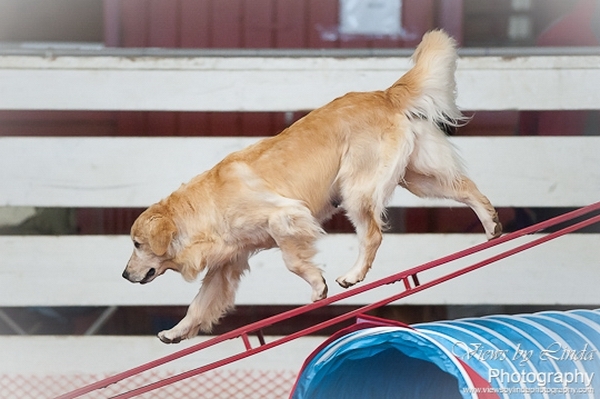 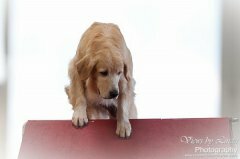 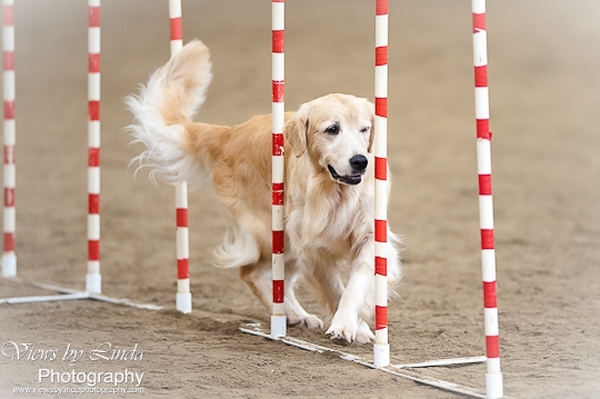 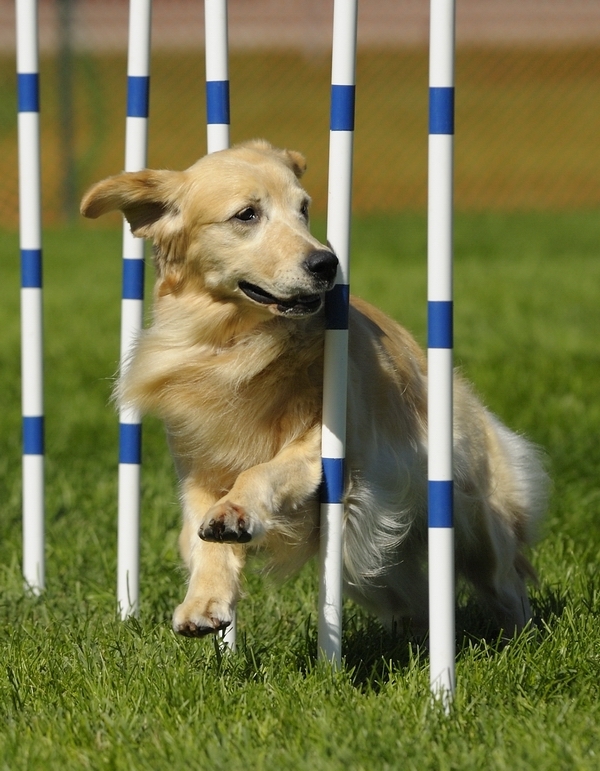 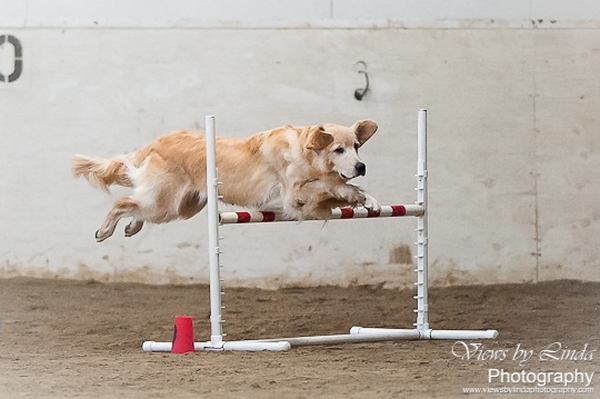 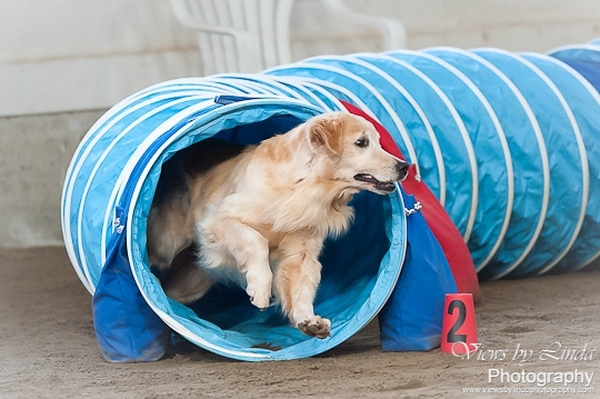 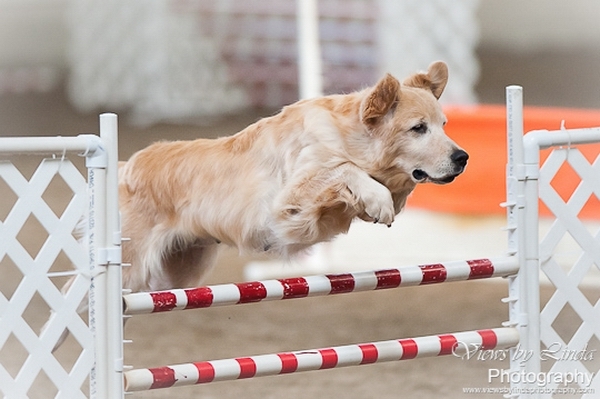 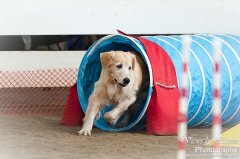 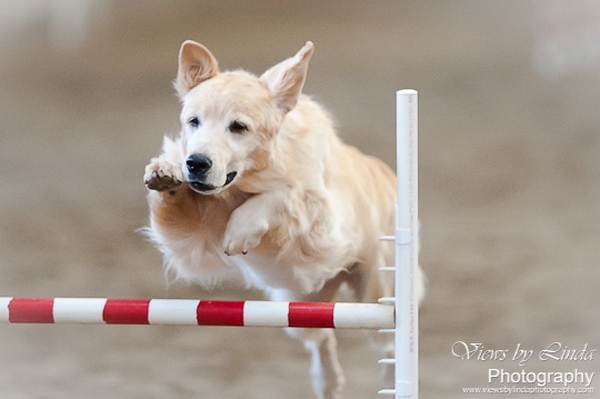 She is retired after earning her Agility Master Championship early 2012. 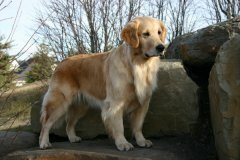 She is a joy to share our lives with and has a very willing to please temperament!